USD was empowered when the decisions were made regarding the tax reform bill. 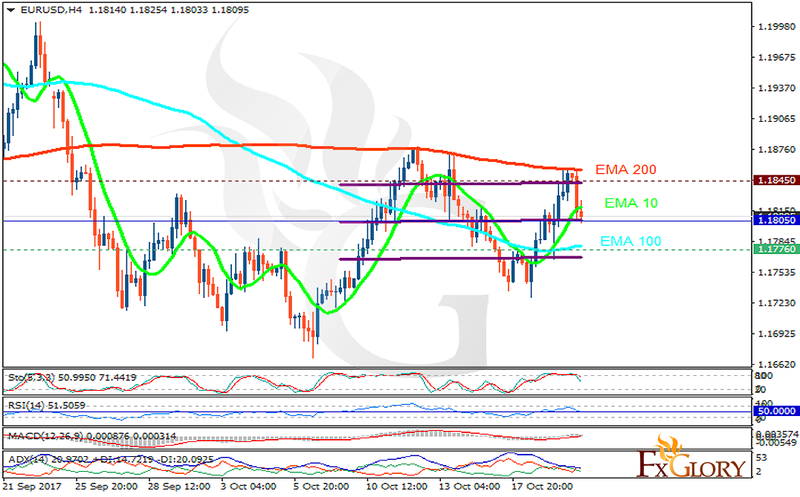 The support rests at 1.17760 with resistance at 1.18450 which the weekly pivot point at 1.18050 is located in between the lines. The EMA of 10 is moving with bullish bias in the horizontal channel and it is below the EMA of 200 and above the EMA of 100. The RSI is falling below the 50 level, the Stochastic is showing downward momentum and the MACD indicator is in neutral territory. The ADX is showing sell signals. Short positions are recommended towards 1.170.